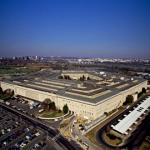 The Government Accountability Office has called on the Defense Department to update its policy for overseeing major automated information system business programs in an effort to address issues when it comes to providing performance data. GAO said in a report published Thursday performance information includes baseline estimates on schedule and cost goals; quarter and annual reports on investment programs; and thresholds that seek to determine high risk on schedule and cost. GAO made the recommendation after it assessed whether DoD’s policies for managing its 24 non-business MAIS programs and 10 MAIS programs adhere to information technology management practices. The congressional watchdog also analyzed 15 MAIS programs’ schedule, cost and performance goals and found that majority of the nine programs with performance objectives met their performance targets. Schedule delays observed in the 15 MAIS non-business and business programs ranged from five months to five years due to unplanned changes or unfeasible expectations, according to the report. GAO said the selected 15 MAIS programs had seen increases or decreases in their planned cost estimates. Cost increases ranged from $2.9 million to $1.5 billion, while reductions in planned cost estimates ranged from $1.2 million to $1.6 billion. 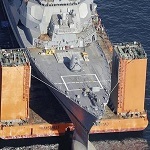 “The decreases in planned cost were largely due to scope reduction, while cost increases were due to underestimating levels of effort and contracting issues,” GAO wrote.